We supply the latest in non-contact infrared (IR) thermometers from leading suppliers Fluke. All of our Non Contact Thermometers are smart, durable, competitively priced and packed with intelligent features. You can use these IR Thermometers to obtain reliable and accurate temperature measurements at a safe distance. View our full range of Non Contact Thermometers below. The Fluke 62 MAX is designed to be always at hand. The smart belt clip allows to keep it close to you when you need it. The ergonomic shape of the handle makes the instrument comfortable to use. The built in laser pointer helps with aiming and the tool is capable of withstanding drop from 3 meters. 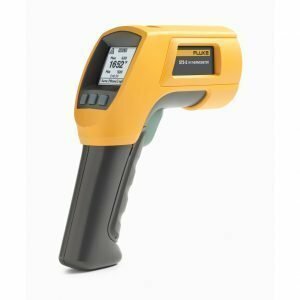 The new Fluke 62 MAX+ Infrared Thermometer is ideally suited for building contractors to measure the effectiveness of heating systems or for maintenance technicians that need to evaluate if the working temperature of equipment indicate abnormalities. €108.00excl VAT€132.84incl VAT Free Delivery! 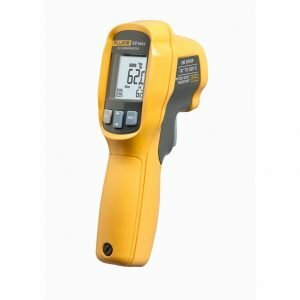 Ideally suited for HVAC/R technicians, the Fluke 561 Multi-purpose Thermometer is a comprehensive tool that combines functionality of several other tools. Saves time and provides reliable temperature measurements at all times. €200.00excl VAT€246.00incl VAT Free Delivery! Made of strong materials, the Fluke 566 is capable of withstand drops and shakes. Thanks to very wide spectrum of measurements the device is ideal for heavy industry use where temperatures measured reaches over 600° C.
€425.00excl VAT€522.75incl VAT Free Delivery! 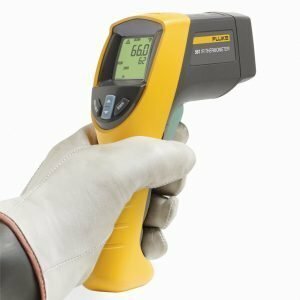 Strong and reliable, versatile and easy to use – Fluke 568 Thermometer finds it’s use in busy plants where downtime to the equipment means the whole facility is affected. The Fluke 568 makes it possible to diagnose upcoming problems while the equipment is at operation. €532.00excl VAT€654.36incl VAT Free Delivery! The Fluke 572-2 IR Thermometer is a top-spec device capable of reading temperature through IR rays and connectible temperature probes. The wide range of measurements makes it ideal for troubleshooting high temperature equipment in substations, power plants, metalworks and other. €579.99excl VAT€713.39incl VAT Free Delivery! 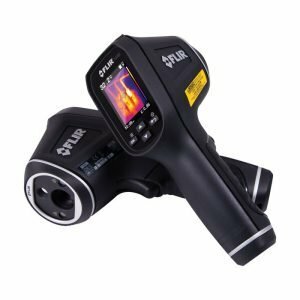 Thanks to large display and visual reference, the all new FLIR TG165 IR Visual Thermometer is much more refined than a standard Non Contact Thermometer, yet it is much more affordable than Thermal Camera. Easy to use and carry, lightweight and robust. Ergonomic design and rugged build are the basic characteristics of Fluke 61 IR Thermometer. Extremely easy to use with just one button operation. Clear display and laser aimer make taking readouts super easy. 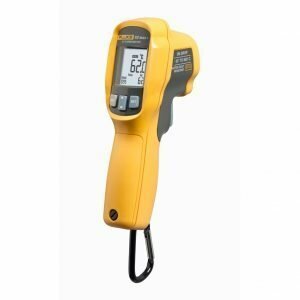 Fluke 63 Mini Non Contact Thermometer features high resolution optics and high accuracy sensor. Laser pointer helps with accurate targeting. Rugged design. €276.00excl VAT€339.48incl VAT Free Delivery! The Fluke VT04A Visual Thermometer is an exceptionally smart and handy. The instrument allows to combine digital image of measured area with layer of 25%-, 50%- or 75%-transparent heat map. Identify areas with problems easier than ever before. €515.00excl VAT€633.45incl VAT Free Delivery!